All blessings are useful in the Kingdom. The best way to donate to Love A Child’s ministry in Haiti is through a gift, however large or small. 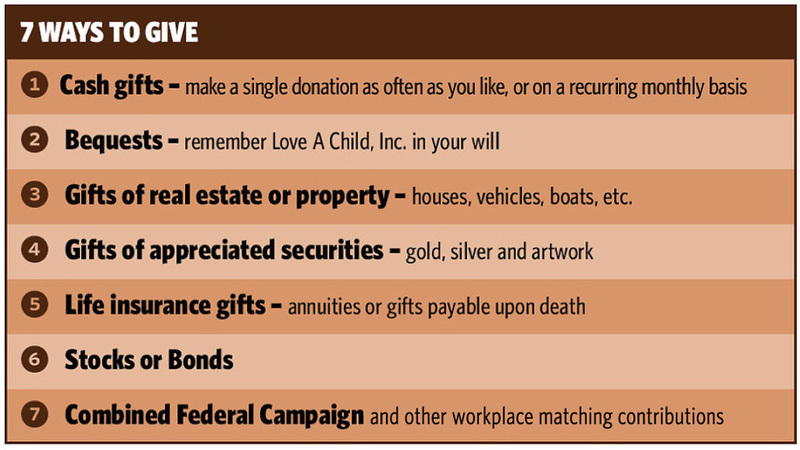 The chart below offers information on 7 ways to make tax-deductible donations. All of the seven gifts listed below play a part in helping us continue our mission for the poor. 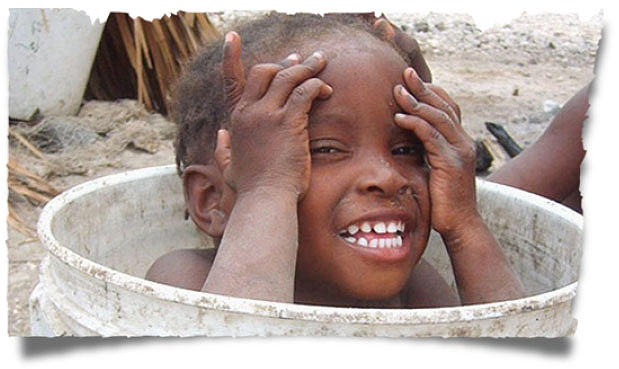 You can help children and families in Haiti through workplace giving. Love A Child is associated with the Combined Federal Campaign (CFC). CFC is a cost-efficient, effective, employee-focused program, which provides all federal employees the opportunity to improve the quality of life for less fortunate people by donating through their workplace. Love A Child participates with CFC as a member of Christian Children’s Charities. The Love A Child number is 10903 and can be found in the national section of the CFC directory. If you are a federal employee, please look at how you can help Love A Child improve the lives of children and families in the country of Haiti. Thank you for helping the people of Haiti.